Healthcare Costs: Now what are we supposed to do? By now we have heard the stories about unconscionable medical bills causing financial harms for patients. We have read about more Americans than ever before on high-deductible health insurance plans. Some of us even helped our parents navigate the deceptively simple-looking bronze, silver, and gold tiers of the insurance exchanges, weighing the gamble of increasingly unaffordable monthly premiums against catastrophically high deductibles and out-of-pocket costs. We have accepted that healthcare costs are out of control and causing real constraints on every level from individuals to communities to businesses to states to our nation. OK, but now what are we supposed to do about it? For starters, we can supply a pipeline for change by embedding the principles of value-based care into the apprenticeship of health professional education. Recently the leaders of the soon-to-open Dell Medical School at UT Austin articulated their plan to build their entire curriculum around teaching students to root out waste and to care for the health of the community. This is the clearest example that medical educators are taking the calls to action from the ACGME, AAMC, ACP, and other leaders to address healthcare value in training very seriously. However, the frontlines are not waiting for new medical schools to open up or for massive curricular overhauls. The 2nd annual Teaching Value & Choosing Wisely Challenge that we organized resulted in 80 submissions spanning the country (and Canada). The authors – which included 5 students, 30 residents or fellows, and at least 41 faculty members – described their bright ideas and innovations for integrating healthcare value into education. Education is fundamental, but will not be enough. We must also practice what we preach. Practicing clinicians can deflate medical bills for their patients through advocating for appropriate care, considering patient affordability in customizing treatments, and leading local initiatives to improve value of care. Clinicians can advocate for appropriate care through avoiding low-value services at the point-of-care. Specific targets for improving appropriate resource utilization may be identified from resources such as Choosing Wisely lists, guidelines, and appropriateness criteria. Physicians will need to understand the true risks and benefits of recommended therapies and learn ways to communicate this balance with patients. Considering patient affordability is increasingly important with more patients now facing astronomically high out-of-pocket bills even for simple medical treatments or procedures. A December 2014 CBS/New York Times poll found that 80% of Americans now think their doctor should discuss the cost of recommended medical treatment with them ahead of time. Clinicians can screen their patients for financial harm and can help them navigate the trade-offs of lower cost options. Physicians should seek to provide high-value prescribing, which entails providing the simplest medication regimen that minimizes physical and financial risk to the patient while achieving the best outcome. In other words, decreasing either cost, complexity, or risk of medications can improve value – and clinicians should aim to improve all three simultaneously. In addition to reducing waste and considering patient affordability, clinicians are ideal leaders of local value initiatives, whether it be through running value improvement projects or launching formal high-value care programs. Our framework to guide value improvement project design is “COST”: culture, oversight accountability, system support, and training. This approach leverages principles from implementation science to ensure that value improvement projects successfully provide multi-pronged tactics for overcoming the many barriers to high-value care delivery. At some locations across the country, individual efforts have matured into entire groups dedicated to designing and implementing value-improvement initiatives, including the UCSF Value Improvement Committee, the Johns Hopkins High-Value Care Committee, Johns Hopkins Bayview Physicians for Responsible Ordering (“PRO”), and “High-Value Carolina” in North Carolina. Health professionals are now faced with a responsibility to help deflate medical bills. To achieve this goal, clinicians can advocate for appropriate care, consider patient affordability, and lead local value improvement initiatives. For those ready to tackle this challenge, we elaborate on and explain some of these necessary tools in our book, Understanding Value-Based Healthcare. EDITORS NOTE: If you teach residents, students, or individuals about health payment reform–and you want them to understand the fundamentals of why our system needs changing, I cannot recommend this book enough. The authors spent countless hours getting the figures and illustrative examples just right. The text reads crystal clear and the Costs of Care team address price conscious, heads up practice a in a manner I have not come across before. A very worthwhile investment and I encourage you to seek out a copy. It’s a terrific book. 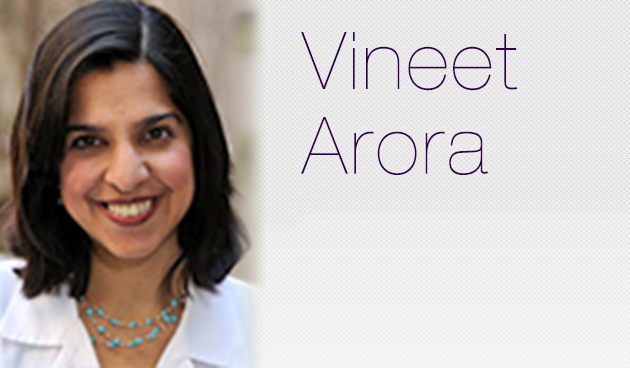 Vineet Arora, MD, MAPP, is associate professor at the University of Chicago and Director of Educational Initiatives at Costs of Care. Christopher Moriates, MD, is a hospitalist and assistant professor at the University of California at San Francisco, Director of the Caring Wisely program for the UCSF Center for Healthcare Value and Director of Implementation Initiatives at Costs of Care. 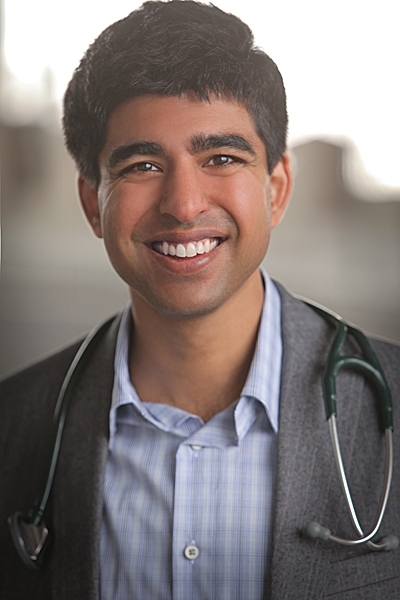 Neel Shah, MD, MPP, is an assistant professor at Harvard Medical School and Executive Director at Costs of Care. A version of this article originally appeared on Medpage Today on May 5, 2015. I used to think these mantras meant something. However if we. Dissect the cost of medicine and hospital medicine we have so many side companies dipping and adding cost with little value. In other words as a hospitalist I can do what I can but there are outside cost impossing a burden on the AMERICAN Patient such as hcapps imagine the cost lost to survey companies at the expense of the patient only for marginal gains and an increase in patients dying of narcotic medication based prescribing. We can’t say no to dilaudid and morphIne. We can cut cost by increasing throughput and this is legit, if a community hospital can not serve it’s community that stinks. But complete and pure academic value based education and medicine may nice, sounds good in theory.But this is a natural process a modern clinician goes through while practicing it’s the forever goal of doing the best we can for all patients. HOWEVER this should be tempered with the ability to spot failures in ones discipline. Ie when to chase zebras and when to call a horse a horse. When to cut cost safely and what to do when a patient is actively dying and being readmitted in their final days. When is cost cutting good for the insurance Co at the cost of the patient…ie cost shifting the burden of care by using Observation. I wish teaching quality diagnosis and treatment should be the goal and remain the goal for medical school students. Quality should be tempered carefully with when is it appropriate. And more importantly teaching families how to advocate and fight insurance companies. Be careful of how value based assessments might help insurrance co trim margins on worn out hospitals and in the end may drive business at the cost of communities.. Watch what you advocate for you may get what you ask for and it may not be what you expect. All true. But unless medical malpractice reform is addressed as part of the equation, costs will never be contained. For those that believe defensive medicine is a problem only of perception, it’s time to understand that perception creates real waste and real cost. Vineet Arora, MD, MAPP, MHM is Associate Chief Medical Officer, Clinical Learning Environment at University of Chicago Medicine and Assistant Dean for Scholarship and Discovery at the University of Chicago Pritzker School of Medicine. Dr. Arora’s scholarly work has focused on resident duty hours, patient handoffs, sleep, and quality and safety of hospital care. She is the recipient of the SHM Excellence in Hospital Medicine Research Award in 2007. Her work has appeared in numerous journals, including JAMA and the Annals of Internal Medicine, and has received coverage from the New York Times, CNN, and US News & World Report. She was selected as ACP Hospitalist Magazine’s Top Hospitalist in 2009 and by HealthLeaders Magazine as one of 20 who make healthcare better in 2011. She has testified to the Institute of Medicine on resident duty hours and to Congress about increasing medical student debt and the primary care crisis. As an academic hospitalist, she supervises medical residents and students caring for hospitalized patients. 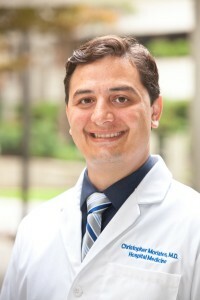 Dr. Arora is an avid social media user, and serves as Deputy Social Media Editor to the Journal of Hospital Medicine, helping to maintain its Twitter feed and Facebook presence. She blogs about her experiences at http://www.FutureDocsblog.com and actively tweets at @futuredocs.